Carlos did an excellent job repairing my refrigerator freezer & explaining to me what was wrong and what he was going to do. Thank You, I would recommend your company to my friends. Carlos is a #1 service teck. he works with your business, not for it. CONCERN: Customer reports refrigerator is not getting cold on refrigerator side. DIAGNOSTIC AND CAUSE: Inspected compressor operation, evaporator fan and condenser fan operation, all normal. Found frost build up on evaporator coils. Tested defrost heater for continuity, Found defrost heater and limiter shorted. CORRECTION: Replaced defrost heater and limiter. Tested operation, all normal upon completion. CONCERN: Customer reports refrigerator seems to run all the time. CAUSE: Found condenser coils clogged with debris. CORRECTION: Clean condenser coils and tested, operation now normal. CONCERN Customer reports refrigerator water filter : CORRECTION: install water filter and tested. Operation now normal. CONCERN: Customer reports Oven door glass came off CAUSE: Found glass loose CORRECTION: install door glass. CONCERN: Customer reports washer is making a lot of noise when running. CAUSE: Tub bearing failure. CORRECTION: Replaced washer tub seal and bearing, tested unit and inspected for leaks. Operation now normal no leaks upon completion. CONCERN Customer reports refrigerator will not stop dispensing water CAUSE: Found bad micro switch and actuator pad CORRECTION: install micro switch, actuator pad and tested. Operation now normal. Frigidaire Washer no spin. Thunderbird/99th ave Washer Service Call, Found washer bearings failed. Samsung Refrigerator not cooling enough. Defrost issues on freezer and refrigerator as well. Peoria/111th ave. Refrigerator Service Call, no reapir made at this time. Washer not working. Dials not doing what they're set to. Softener is not dispensing. 103rd ave/Tthunderbird CONCERN: Customer reports washer is not spinning out. CAUSE: Unable to duplicate customer concern at this time. Washer is performing as designed at time of inspection. Maytag Dryer vent hose is crushed. Bell/99th ave Model# MDE3706AYW CONCERN: Customer reports dryer has a burning smell while running. CAUSE: Internal dryer cabinet filled with blow by lint. CORRECTION: Disassembled dryer and cleaned internal dryer cavity and reassembled unit. Operation is now normal. GE Freezer not working. Greenway/99th ave Model GSS27RGMFWW CONCERN: Customer reports refrigerator is not getting cold on refrigerator side. DIAGNOSTIC AND CAUSE: Inspected compressor operation, evaporator fan and condenser fan operation, all normal. Found frost build up on evaporator coils. Tested defrost heater for continuity, Found defrost heater and limiter shorted. CORRECTION: Replaced defrost heater and limiter. Tested operation, all normal upon completion. 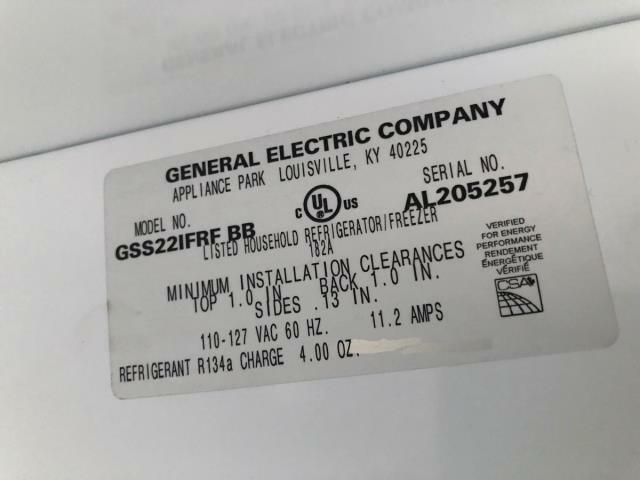 GE profile refrigerator not cooling both sides. 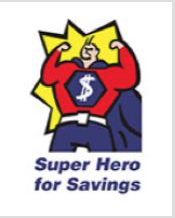 99th Ave/Union Hills Model PSHS6PGZBESS CONCERN: Customer reports refrigerator is not getting cold on refrigerator side. DIAGNOSTIC AND CAUSE: Inspected compressor operation, evaporator fan and condenser fan operation, all normal. Found frost build up on evaporator coils. Tested defrost heater for continuity, defrost heater good. Tested bi metal and thermistor shorted. CORRECTION: Replaced defrost bi metal and limiter. Tested operation, all normal upon completion.